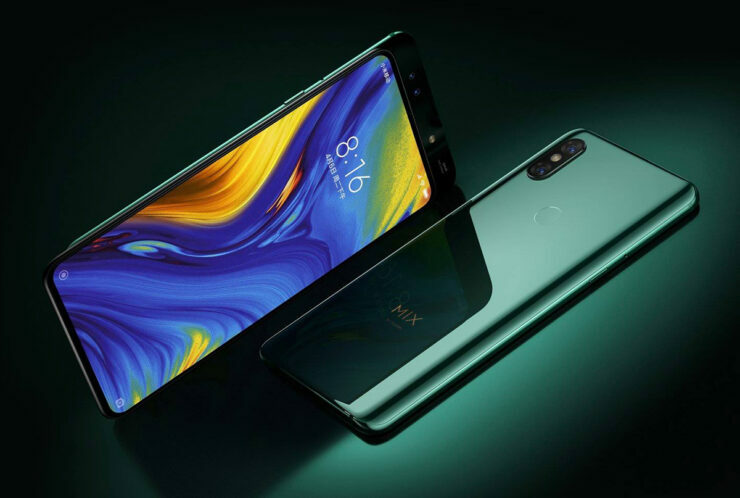 Back in 2018, Xiaomi announced its first smartphone with a sliding camera, the Mi MIX 3. Shortly after, the company teased that the same model would be getting a 5G version, and at the MWC 2019 trade show, we’ve been treated to just that. The Mi MIX 3 5G sports upgraded specifications while boasting the same premium design as the previous iteration. 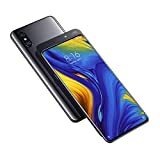 Also, since we’re on the subject of 5G, the upgraded Mi MIX 3 isn’t going to cost all that much, so it should come as a sigh of relief for future customers. Of course, the 5G-enabled version brings you the best of the best in the Android flagship smartphone space. This means that the new Mi MIX 3 is also running the Snapdragon 855, Qualcomm’s latest and greatest 7nm SoC. The X50 5G modem will generate a significant amount of heat, to which Xiaomi states that a hybrid cooling system is in place to act as a deterrent. Also, the cooling solution doesn’t just apply to the 5G modem, but also the SoC. Another welcome change for customers is the increase in battery capacity. We don’t understand why Xiaomi didn’t do this with the first iteration, but the 3200mAh cell present in the 4G LTE variant of the Mi MIX 3 is bumped up to 3800mAh in the 5G-ready model. Since the Snapdragon X50 5G modem is expected to be a battery guzzler, a slightly bigger battery was incorporated. Where industry watchers kept on clamoring that the era of 5G-ready handsets will be an expensive one, forcing customers to splurge more money on devices, the Mi MIX 3 doesn’t follow the same pattern. 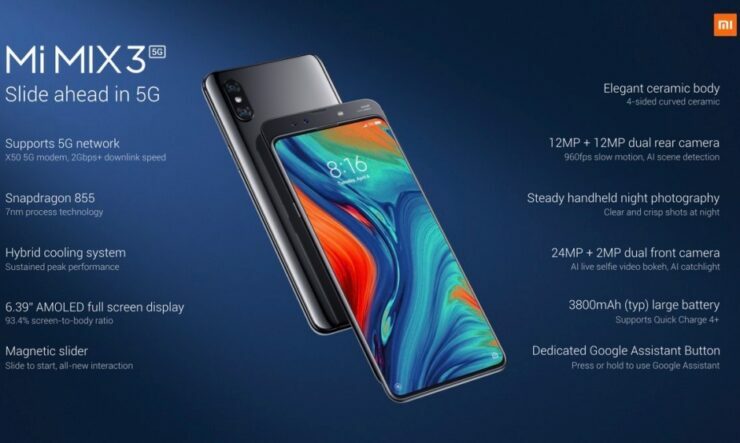 Sure, €599 for the base version ($680 when using direct currency conversion) isn’t exactly cheap, but in a world where flagship smartphones can effortlessly exceed the $1000 range, Xiaomi is attempting to make 5G-ready handsets as affordable as possible, starting with this one. Xiaomi hasn’t stated which model will sell for €599, but we reckon it will be the base model. Keep in mind that Xiaomi earlier introduced a 10GB RAM variant for the Mi MIX 3, so it is highly likely that the 5G version will get the same treatment in the near future.